This hanger is what you need for your dagger. 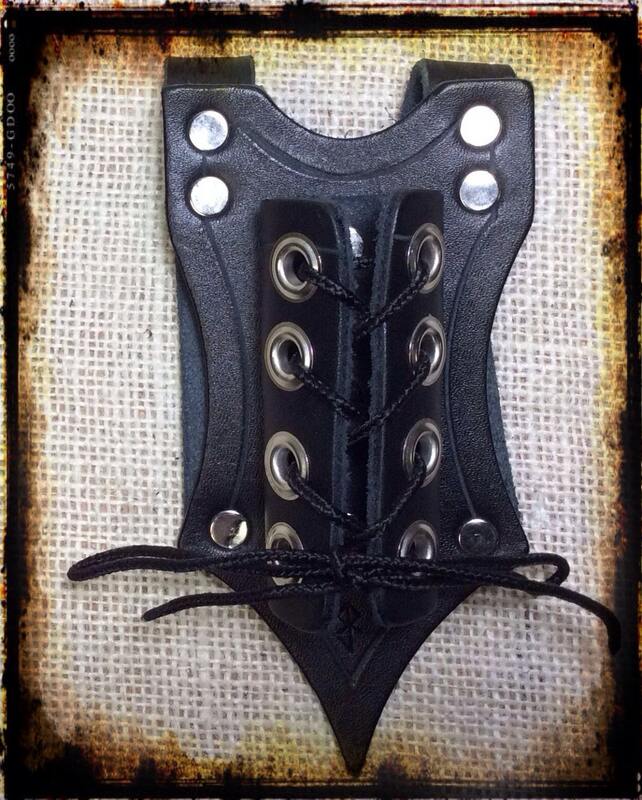 Made of black drum dyed vegetable tanned leather and laces the weapon securely in place. Has a gothic style, giving it a nicer look. I generally ship via the US Postal Service. Smaller packages ship First Class, while larger packages tend to ship US Priority Mail, whichever is most cost effective. Ohio residents are to pay 6.25% sales tax. International buyers, please contact me for shipping charges and a private listing.